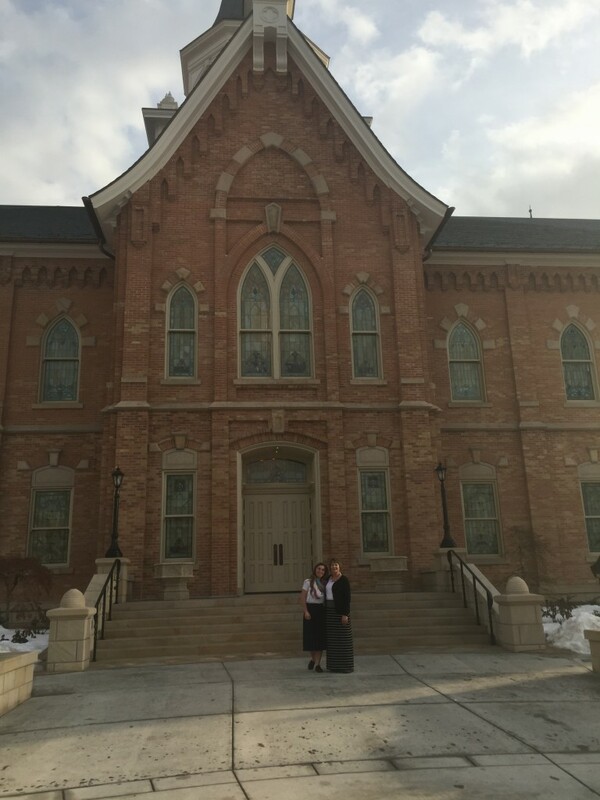 I’m still stunned at the beauty of the Provo City Center Temple. Oh my goodness what an amazing building. What a beautiful edifice built unto the Lord! I’ve been reading some historical information and I’m just so darn proud to be part of this! It’s incredible. Not that I’m actually part of it, but our church is part of it! There is a general feeling of awe and reverence in the temple. The columbine flower is used as a theme throughout, from the stained-glass to the engravings to the carpet. Stamped or sculpted wallpaper is in some of the rooms and murals in others. 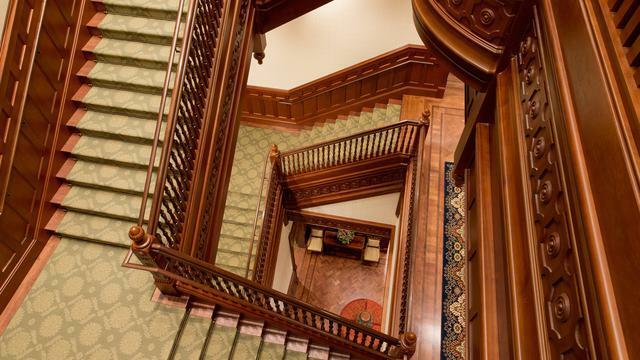 There are elaborate wooden moldings and decorations, and towering Gothic arches. Even the door hinges caught our attention with their intricate design. There’s a lot of dark mahogany wood, which is similar to the wood in the original tabernacle. The feel is reminiscent of the earlier temples, and the motif is Victorian. There was no white in the original tabernacle, which was built in 1898; it was full of color. The contractors, project managers and architects honored that style and filled this new temple with color, hard woods, beautiful detailed work and paintings representative of that period when it was originally built over a hundred years ago. 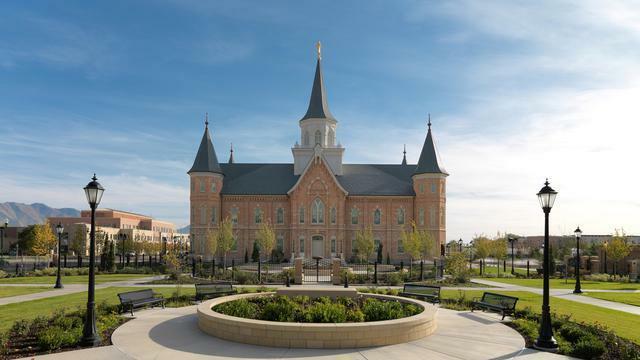 It has a similar look and feel as the Manti Temple, which was built in the same year as the original Provo tabernacle. 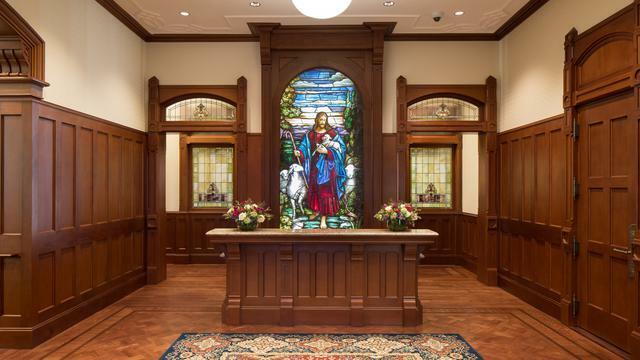 At the entrance is a stained-glass window behind the recommend desk at the south ground-level entrance to the temple. I read that it is 120 years old and formerly hung in three pieces in a Presbyterian church in Brooklyn. It is an image of Jesus Christ in a red robe with a blue shawl, carrying a staff in his right hand and a lamb in his left. The lamb was cracked, but an expert restored it. The dark wood reminds me of the wood in the Nauvoo Temple. There are beautiful Persian rugs throughout and the sage green rugs on the stairs had an iron bar across them. I wish the picture showed the bar better. It is so intriguing. Really, you have to see it! It was so amazing to climb those stairs and look down through the three levels. 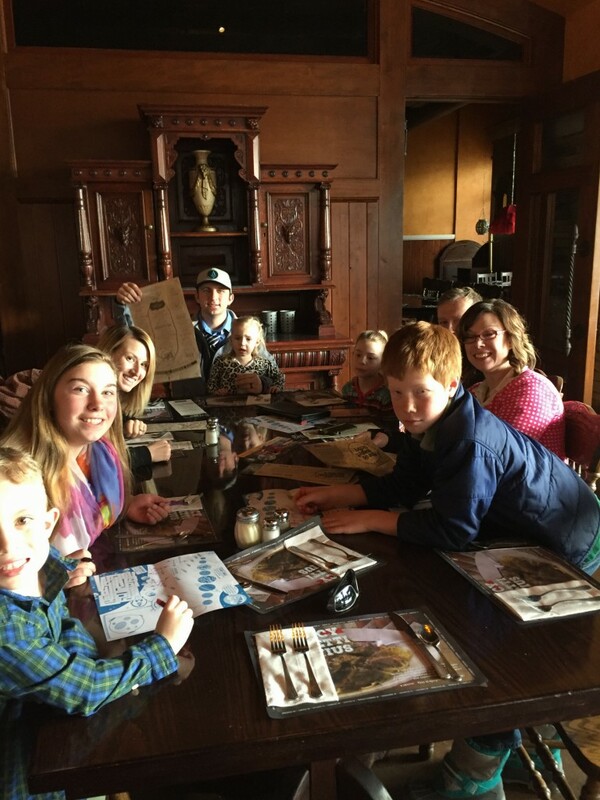 My favorite part of the day was being with my family, both at Old Spaghetti Factory and at the temple. I wish all my kids were there to share this meaningful, special, spiritual time. Tracy had a relatively good day although we ended up getting a wheel chair for her because the wait in line was expected to be around three hours. A nice man let us go to the front of the line after about 90 minutes and we will be grateful to him forever! I’m so glad we went! We had a little time to go shopping at the mall and got two adorable shirts, which I heard Mikelle decided to ‘adopt’. I’ll go back someday and shop for me. So so cute! 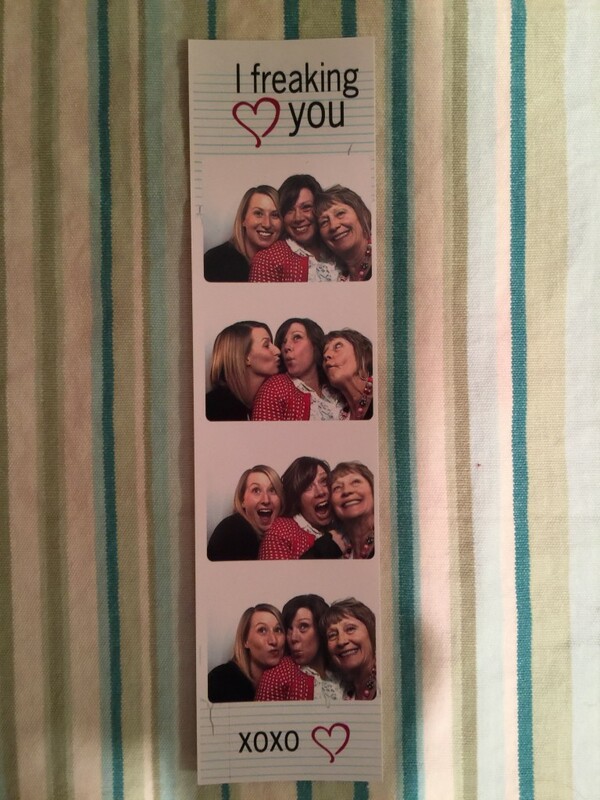 We all squeezed into a photo booth and took some memories. Three goofy girls! It was seriously, the perfect day!